Article 6 of the Convention on the Rights of Persons with Disabilities (CRPD) recognizes that women and girls with disabilities face multiple and intersecting forms of discrimination In the preamble to the Convention attention is drawn to the particular susceptibility of women and girls with disabilities to violence, injury or abuse, neglect or negligent treatment, maltreatment or exploitation. The New Report of the Secretary-General, prepared for the UN General Assembly 72th session, on the “Situation of women and girls with disabilities and the Status of the Convention on the Rights of Persons with Disabilities and the Optional Protocol thereto” provides an overview of the situation of women and girls with disabilities and presents the ongoing efforts and progress made by Governments, the entities of the United Nations system and civil society organizations in advancing the rights and status of women and girls with disabilities. 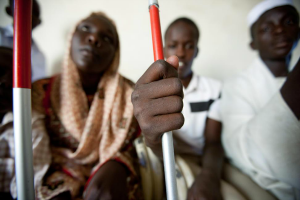 The report also provides an update on the status of the Convention on the Rights of Persons with Disabilities and the Optional Protocol thereto. It concludes with recommendations for the further inclusion of women and girls with disabilities in the implementation of the Convention and the 2030 Agenda for Sustainable Development. Download the full Report on the Situation of women and girls with disabilities and the Status of CRPD.